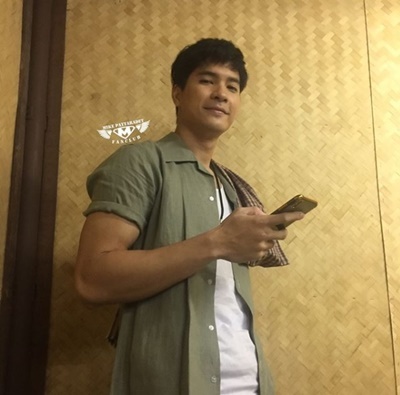 Discussion in 'Currently broadcasting & New Lakorn' started by Ntsuab-Ci, Nov 20, 2018. I had a feeling Mookda was gonna be in part 2! She seems to be a part 2 nangek lol. They look so adorable, I'm ready for this. YAY I like these 2. Me too! I already know I'm going to spend a lot of time in here as long as there are updates. I can't get over how cute they look in that photo, hehe. S.J.M previously posted the synopsis for this part in thai. If anyone can translate it, it'd be appreciated! Mike is going to be two beautiful nangek. Great ! Since I heard Mike would be paired up with Kat, I was disappointed that he wouldn’t be paired with Mookda ! Now my wish is granted ! xcinsationalx and S.J.M like this. I've noticed only Pordeecom does series at ch7. I wonder why other productions don't try it. But from the looks of it, Pordeecom seem to be fast with their series. I didn't watch the lastest one with Weir, Mik, etc but I did like the Fire Series so I'm hopeful! I do like Pordeecom as well. They look good together...mookda looks good with her pra'eks though. I still like her with Mik most at this point. Looking forward to this one. Michael looking good in all black! This pic he doesn't look like Mike at all. Why is his face orange/tan. Is this taking place at a farm? Kind of bad makeup cause that tan spot are uneven. Oh wow, I didn't even notice the orangey-ness, lol. I just saw it as a tan and left it as that. I think it still looks like Michael though. Maybe it's the angle that kinda makes him look different. 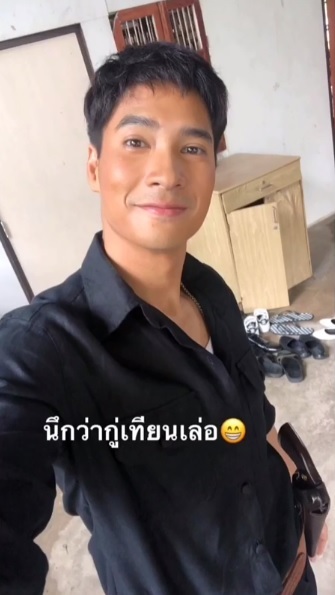 Idk why but I keep imaging the time period to be the same as the lakorn he was in with Pooklook, Noi... something. But I don't think that's right. I picture the setting to be in the forest or something though, haha. So the tan didn't catch me off guard. 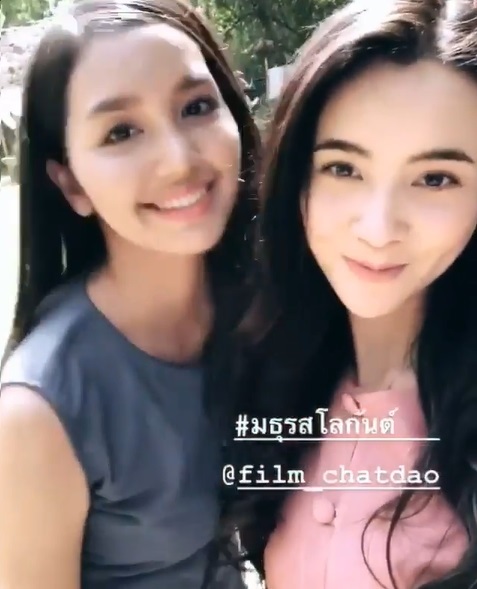 Now, filming is official, whhooh! Lol, once I saw Mike's orange face I have a feeling it has something to do with the country side or farm. 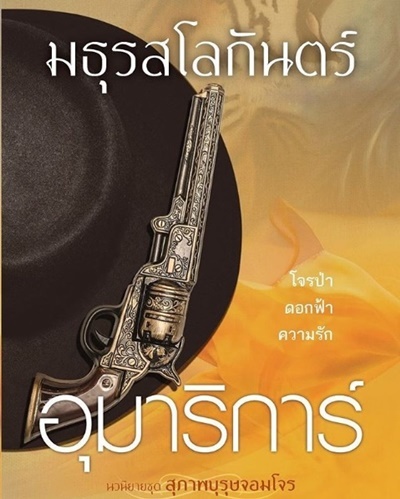 Since I'm pretty desperate at this point, I looked up the translation for the title and Maturot (มธุรส) seems to mean "to be sweet" and Logan (โลกันตร์) is "abyss of hell". So like... Would that be "Sweet Abyss of Hell"? Lol. Cause if so, that sounds intense. I also looked up the translation for the synopsis on various translators and IF they are any accurate, they all mentioned something about marriage being involved. Sounds like a forced marriage. Also something about kidnapping and having the nangek as his woman. Enemy was also mentioned so maybe they're enemies because he's like.. a thief? Lol. There was something about being a bandit leader. The forest was mentioned as well (hence the tan probably). & then nangek promises herself to hate him until the end but when they have to separate or something, she will be sad. jjinxx and SuzieJ like this. So excited for this pairing! Hope someone picks it up once it airs. Omg...can't wait. Hopefully it will be good. Oh the synopsis sound good! I can’t wait for this!